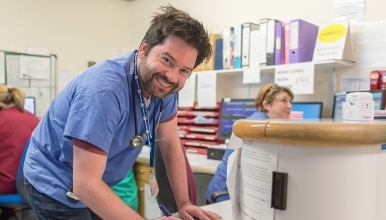 We currently have exciting opportunities for enthusiastic and dynamic Specialty Doctors to join our Emergency Department. Full and part time applications will be happily welcomed and the posts are available as soon as the ideal candidates are found. This is an exciting time to join our Emergency Department’s team which are the heart of the trusts services. Our highly motivated Emergency Department provides services for over 500,000 patients over the county of Shropshire and Mid Wales. Shropshire is a beautiful county located between the West Midlands and North Wales. Whilst rural and home to the Shropshire Hills it is anything but sleepy with plenty of activities to choose from to suit a variety of interests and hobbies. For further information please follow the links attached to the advert.